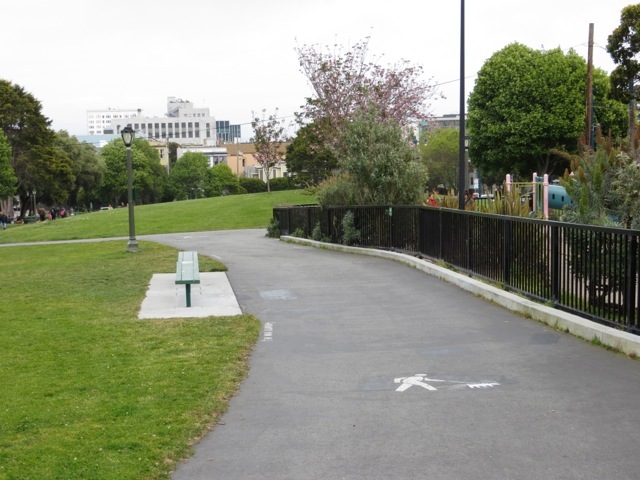 A small park in San Francisco was the center of a neighborhood controversy. 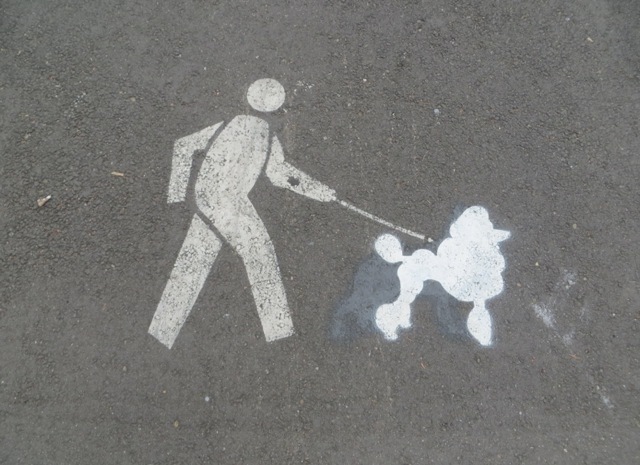 Some families want it to be used by children, while some dog owners want it to be used by dogs. 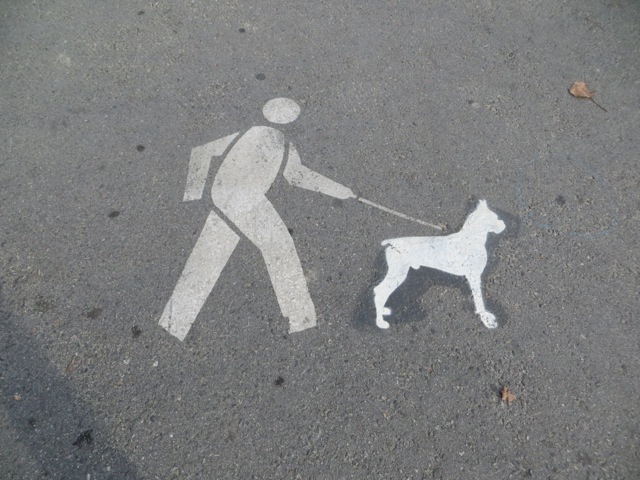 As dog feces and children don’t mix, they have to be separated. 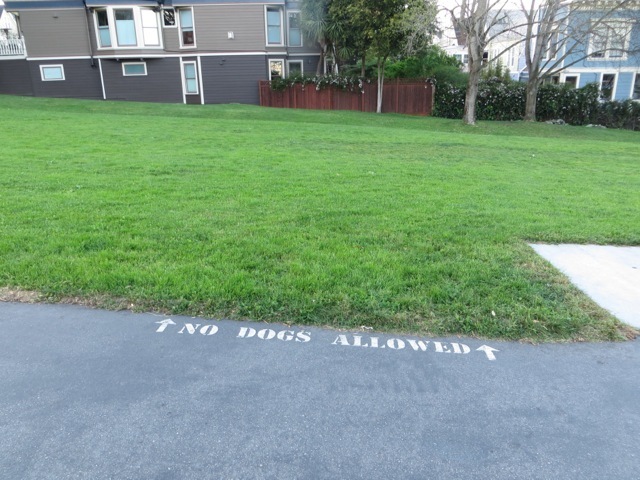 It was finally resolved that dogs are prohibited from a part of the park to preserve a clean area for children to play in. 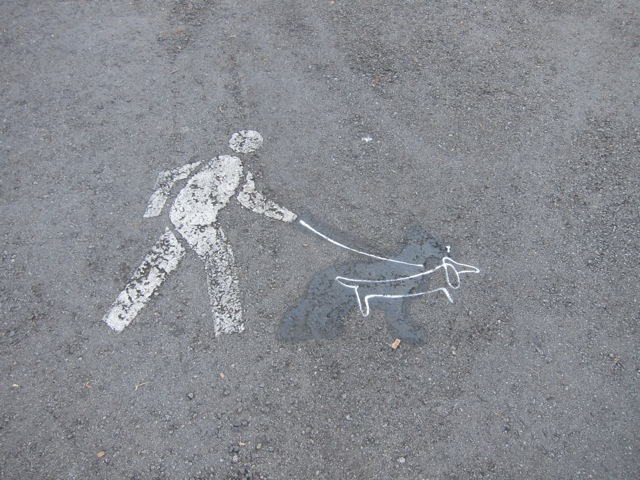 Another part of the park is used as a dog run where dogs can play with their masters and other dogs. 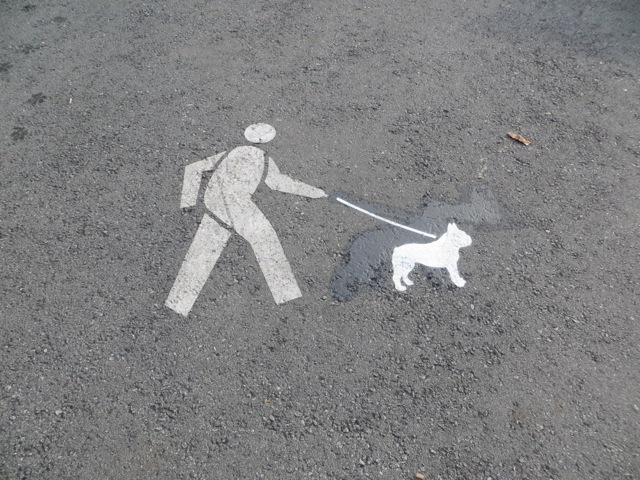 Dogs love this park. 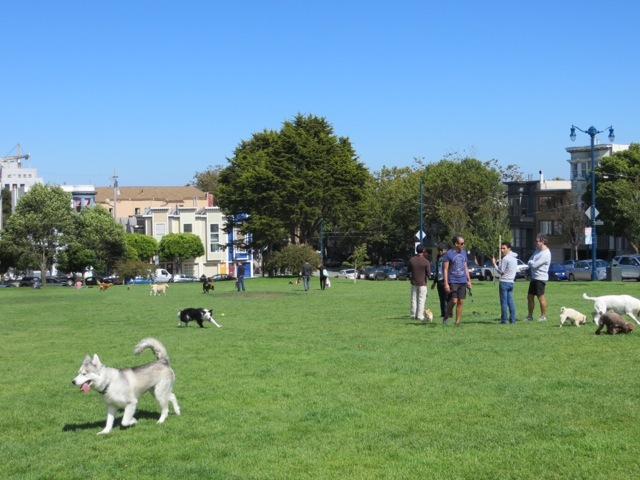 This Duboce Park has become a favorite gathering place for dog owners to unleash their dogs. 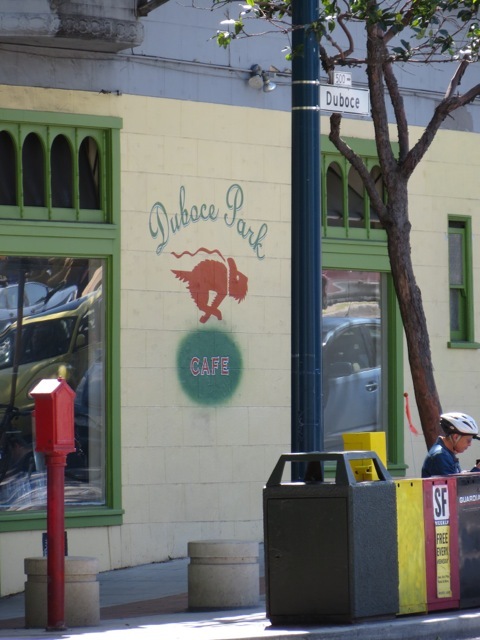 The cafe across the street has an ecstatic running dog on its sign. 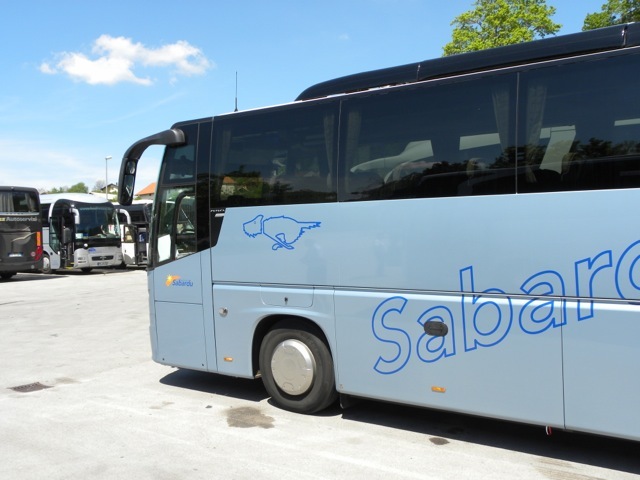 I spotted the same running dog icon on a bus in Slovenia, Europe. 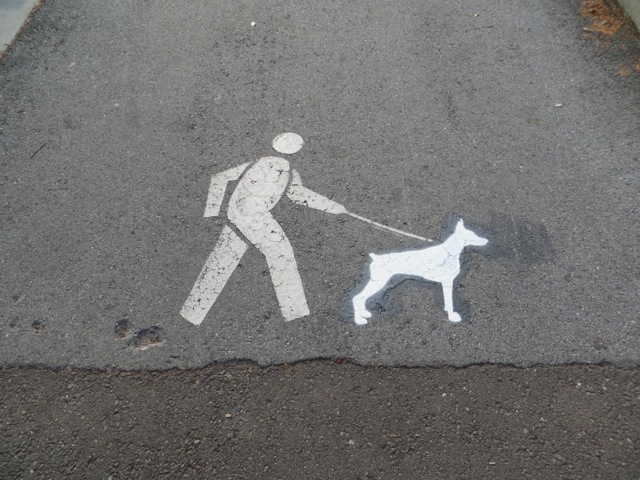 A dozen icons of a stylized man walking his dog has been painted on the park’s walkways. 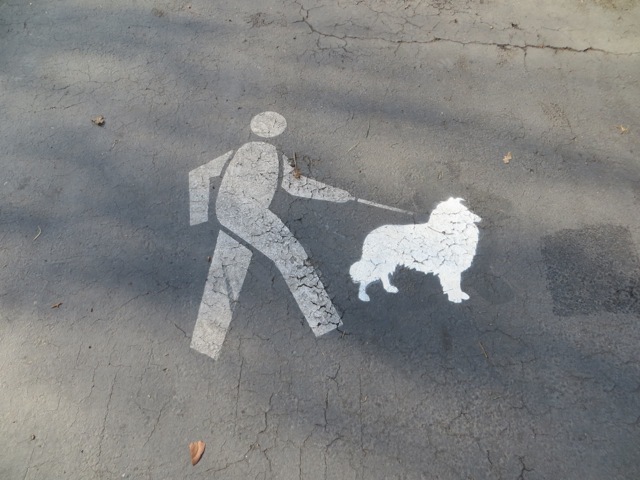 They remind dog owners to leash their dogs while on paths in the park. 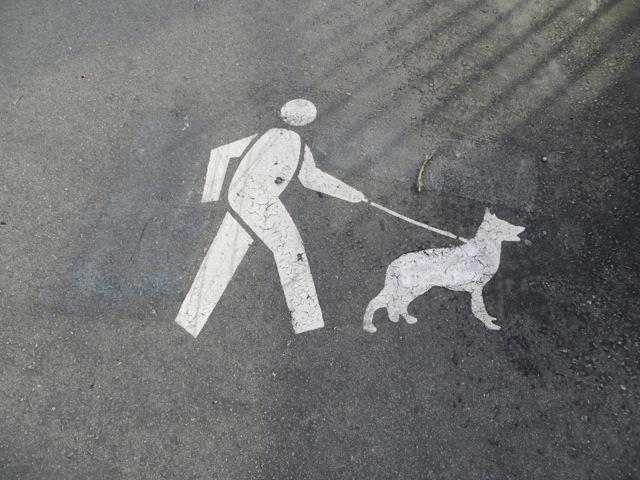 Originally, the dozen icons all featured a German shepherd dog leashed to a man. 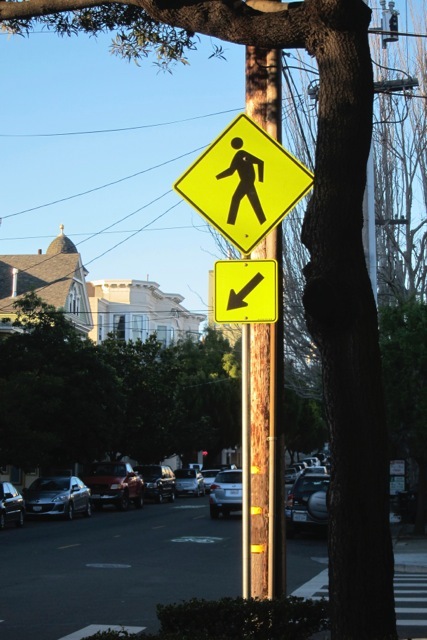 The standard traffic sign icon of a walking man has been adopted for the sign. 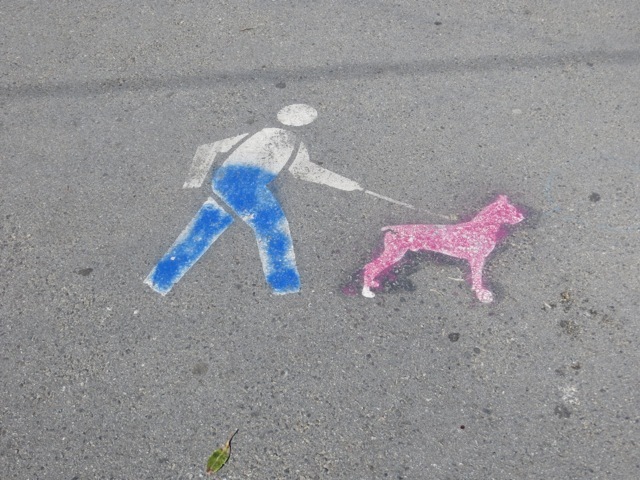 A few months ago, some people painted over the German shepherds and replaced it with different breeds of dogs. This one is a pug. This is an alert doberman pinscher. A collie, maybe named Lassie? 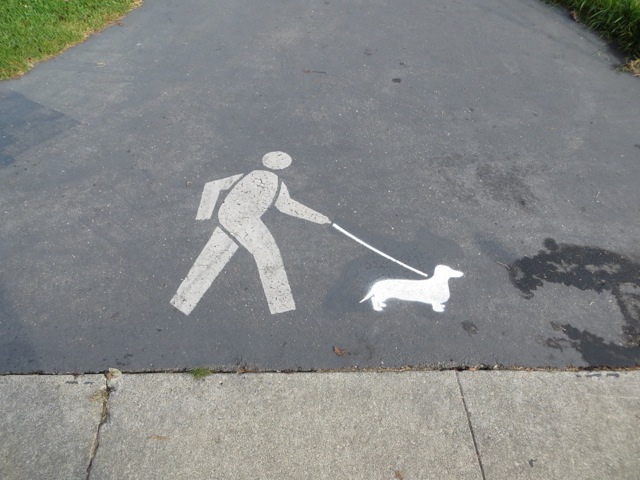 This weiner is a cartoon character. 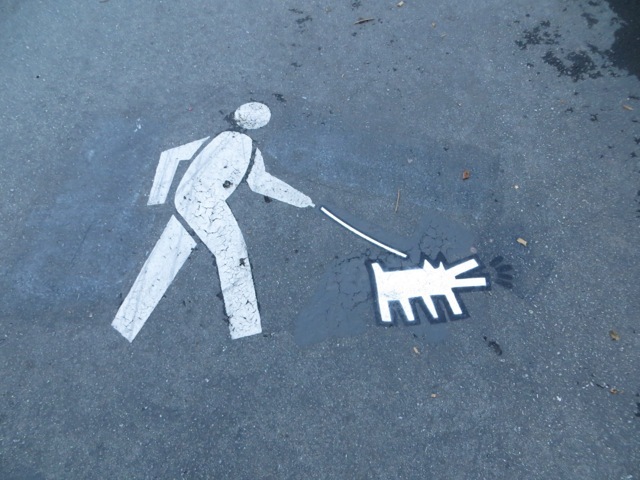 The artist Keith Haring’s barking dog is also featured on the park’s walkway. Somebody wanted the pair to be a little more colorful. 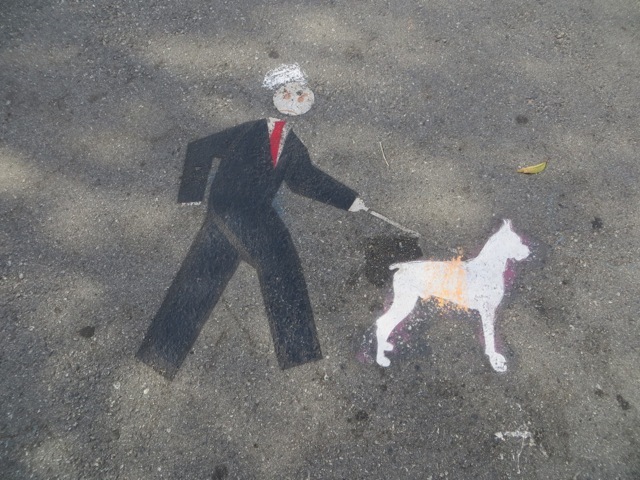 Another person wants the man to be dressed up for a formal dog walk. A third person put an angry face on the man. 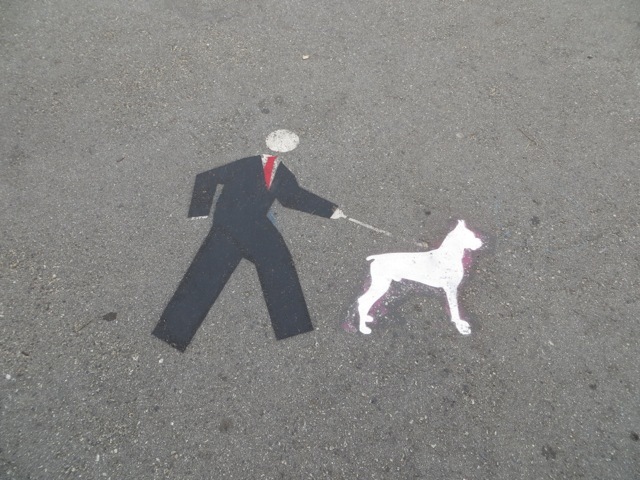 Perhaps the figure is not happy he has to dress up to walk his dog everyday? Posted by Robert Wu on Sunday, August 3, 2014, at 12:56 am. Filed under Uncategorized. Tagged 1. Follow any responses to this post with its comments RSS feed. You can post a comment or trackback from your blog.